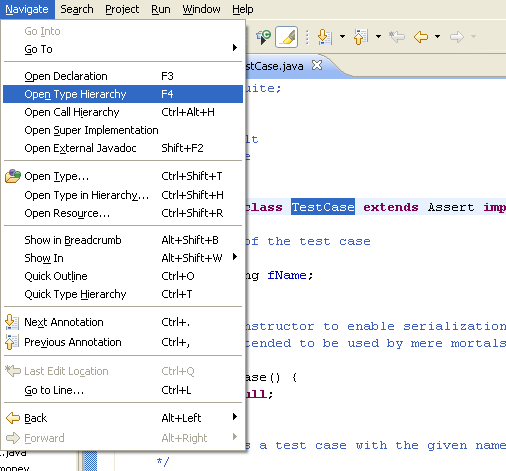 In this section, you will learn how to open a type in the Java Editor and how to navigate to related types and members. Open the Open Type dialog by pressing Ctrl+Shift+T, choosing Navigate > Open Type..., or clicking the toolbar icon ( ). 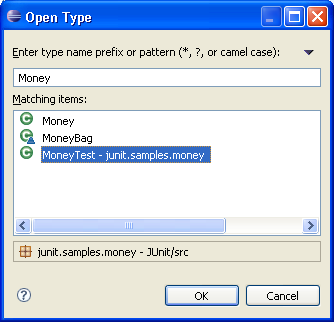 Type Money, press the Arrow Down key a few times to select MoneyTest, and then press Enter to open the type in the Java editor. 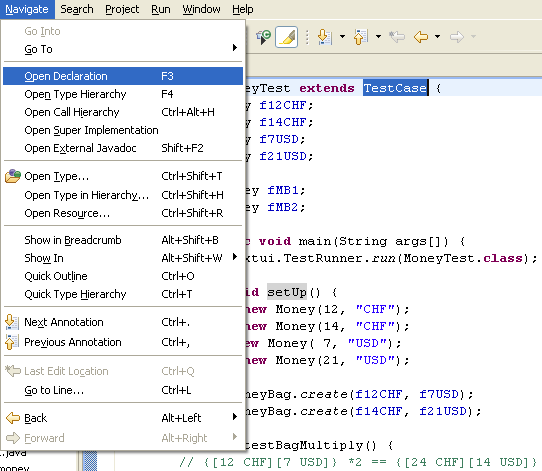 The TestCase class opens in the editor area and is also represented in the Outline view. Note: This command also works on methods and fields. 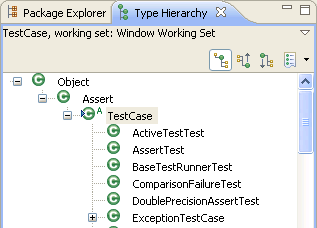 The Type Hierarchy view opens with the TestCase class displayed. Note: You can also open editors on types and methods in the Type Hierarchy view.